It’s Festival Time in Heeley! | IT'S HAPPENING IN HEELEY! It’s Festival Time in Heeley! 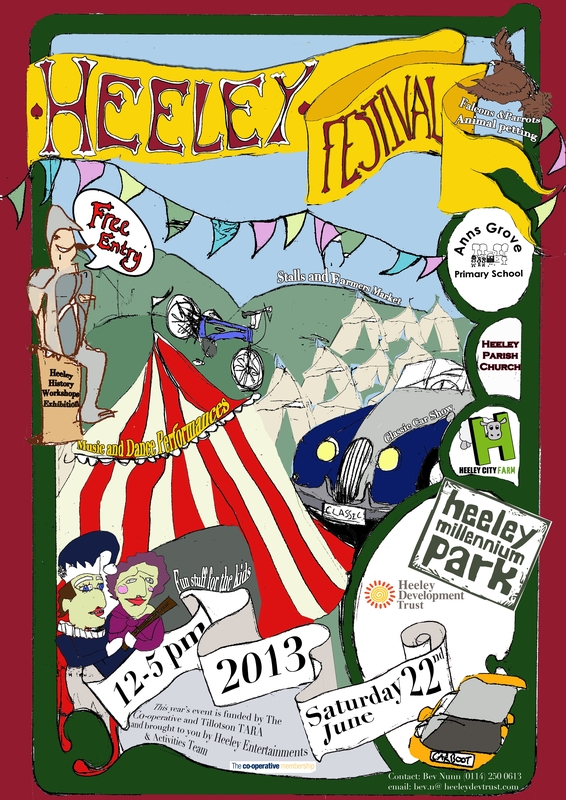 The streets, buildings and parks of Heeley will be playing host to the Heeley festival, the biggest event in the community calendar, from 12noon – 5pm on Saturday, June 22nd. The festival will see the Millennium Park filled with music and dance, parrots and hawks, children’s rides, activities and workshops and an array of stalls selling arts, crafts and refreshments. Anns Grove School will be hosting a car boot sale, strawberry cream teas will be served at the Heeley Parish Church and parents can peruse a Classic Car Show while youngsters enjoy circus skills and magic shows at the Heeley Institute. Heeley City Farm will be staging a medieval re-enactment, farmers market, fire engines, Punch & Judy Show and a second music stage with live performances until 8pm.